Is College Tuition Part of Child Support? The state of Florida is one of many that do not require either party of a divorce to pay for the cost of college tuition. However, parents going through a divorce should be concerned with their child’s future and how the both of them will help pay for expenses such as college tuition, trade school, travel abroad, and other similar experiences. An experienced Boca Raton divorce attorney can help you address these issues early o the divorce settlement, reflects the future obligations of both parties. According to Florida Statute 61.13, child support in Florida terminates when a child turns 18, marries, joins the armed forces, passes away, or otherwise becomes emancipated. Termination of child support may also occur when there has been a substantial change in circumstances for one or both parties. For instance, if one parent becomes injured and unable to work, or if another comes into a great deal of money, the terms of the child support order are eligible for modification. 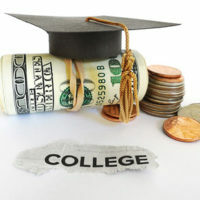 What, exactly, is meant by “college expenses?” If you use the term too broadly, you or your spouse may be on the hook for everything from tuition to books to room and board. Make sure to be as specific as possible when drafting your parental plan to avoid being unable to pay for unexpected expenses. When will a parent’s financial obligation end? Will the parent have to pay for the child’s entire schooling, including graduate school, or will he or she only be obligated to pay for the child’s bachelor’s degree? How will both parents contribute to the child’s college education? Will each parent contribute a certain amount to a college savings fund each month, or will either parent be required to take a loan to pay for the education? Where will the child attend college? Out of state tuition is far more expensive than in-state, so you should address the topic of where your child will be going before making any commitments. What happens if the child squanders educational benefits? If both parents enter into the agreement assuming that the child will earn a scholarship based on sports or good grades, it can come as a huge financial blow to learn that benefits are no longer an option. Your agreement should address which parent will be obligated for college if this should happen. To answer your initial question of whether or not college is a part of child support, the short answer is no. However, that does not mean that you and your spouse cannot work toward a marital settlement agreement that addresses the issue of college expenses. If you want to ensure that your child receives the higher education he or she deserves in the future, contact the Florida office of Wise Lieberman, PLLC, to discuss your concerns and work toward a solution today.